Guys, it’s time to break out the long rods. Despite the stained and high water, bass can be caught fishing lipless crank baits along the outside weedlines. Focus on shallower bays with flowing inlets for the most active bass. Afternoon hours on sunny days have been best. stupid rain today. I was out yesterday with the long-ish panfish rod. Had some nice crappies at neighborhood pond at the (flooded) inflow. Worked a paddle tail 1/64 jig in pink and had about 8 in 25 minutes. Wow, I never thought those green fish were so spooky that you had to don camo to sneak up on them. Either way nice job Ken. Let me know when you get some good fish will ya? “Be the bass!” Anyway, I’m too big to be a bluegill. In this week’s report, bass continue to be good on sunny days during the peak of the afternoon heat. Focus on the outside weedlines with red eye shads and spots. Vary the retrieve until a pattern is developed. Let the fish tell you want they prefer. On another note, the Sandhills are on the move. Spring is close. Here’s a quick recap from this past week. 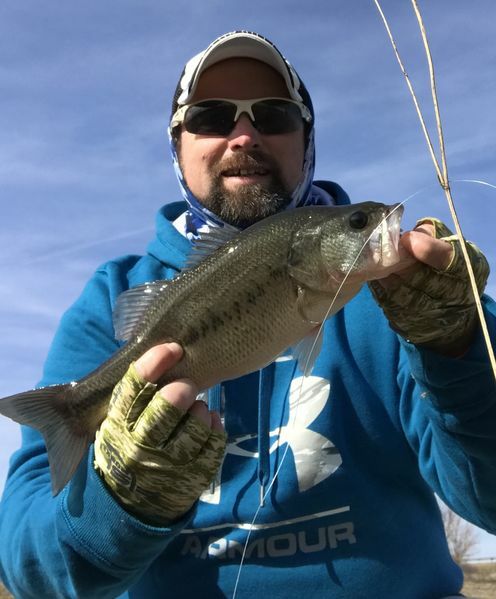 Colder temps slowed the bass bite. X-raps worked slowly along the weedlines produced a few small bass. Key is finding clearer water to work this presentation. Sunny mid-afternoon hours have been the best. Yeah the weather has been goofy. Extended cold pattern. Takes patience and skill to hook up in these conditions, nice job. Thanks for the reports! Here’s a recap of this week’s fishing. The time change has been great. Extra fishing time! Now the weather just needs to cooperate. Focus on sunny days and during early afternoon hours for the best bite. 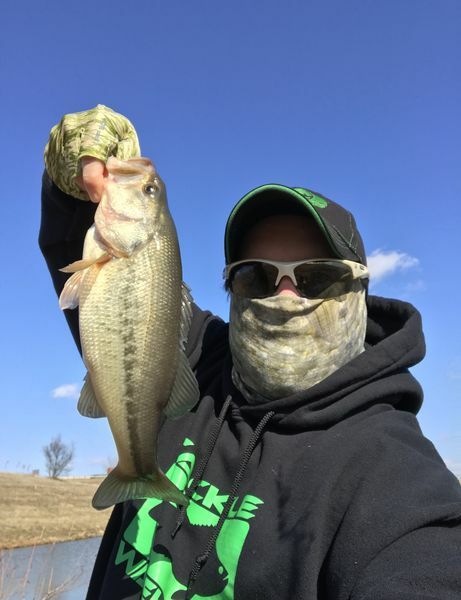 Bass have been good along outside and inside weedlines. Shadow raps using a cadance of 3 jerks and a pause of 3-5 seconds worked best. Muskrats have been active as well so spring is slowly waking up. Chitown-Angler was started on February 10, 2003 and has received 207577735 page views in total since that date.